HTC has announced that it is currently working on a new Android device that will be powered, in part, by blockchain technology. The device, dubbed Exodus, will feature baked-in support for decentralized applications (DApp) and cryptocurrencies. It’ll sport a universal wallet and an onboard secure hardware enclave, TheNextWeb reported. In addition to actually developing the physical device, HTC is also working on a proprietary blockchain network that will leverage its Exodus devices as individual nodes. The goal, TNW notes, is to “facilitate” crypto trading among Exodus owners. In other words, the Exodus device will act as a way for users to connect to a decentralized network, as well as an actual storage option for users to “carry” their cryptocurrencies. “We envision a phone where you hold your own keys, you own your own identity and data, and your phone is the hub,” HTC’s Phil Chen said Tuesday at Consensus 2018, a New York City blockchain conference. At launch, HTC will support Bitcoin, Lightning Networks, Ethereum, Dfinity and other “underlying protocols.” The company said they’d like to eventually support the “entire blockchain ecosystem,” and added that they’ll announce new partnerships in the months to come. 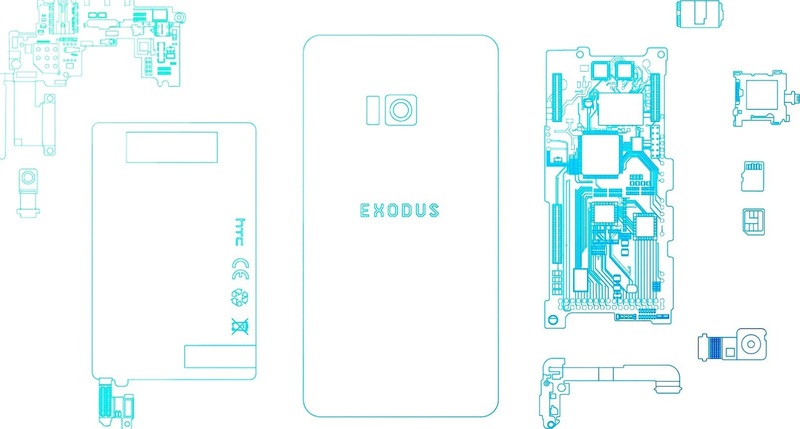 HTC is not the first company to envision a blockchain smartphone. Last September, Sirin Labs announced a $1,000 blockchain-powered handset which is slated to launch in October 2018. Huawei is also reportedly considering the technology for one of its future devices. In theory, blockchain-powered phones will offer bumped up security and a better cryptocurrency user experience. Among other features, they’d allow users on a network to trade crypto without any additional fees. Of course, as TNW points out, these types of features can already be installed on basically any smartphone already on the market. Additionally, trading in most cryptocurrencies will still incur mining fees — even on blockchain devices.